This pattern is MISERABLE. I just want to wear boots, and they don't even have to be UGGs. What's the latest for Thanksgiving? 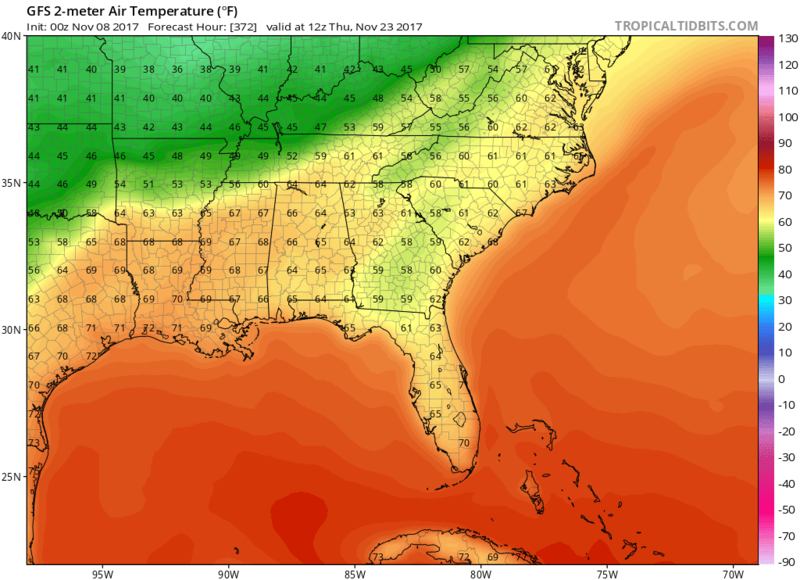 GFS has been flip flopping. 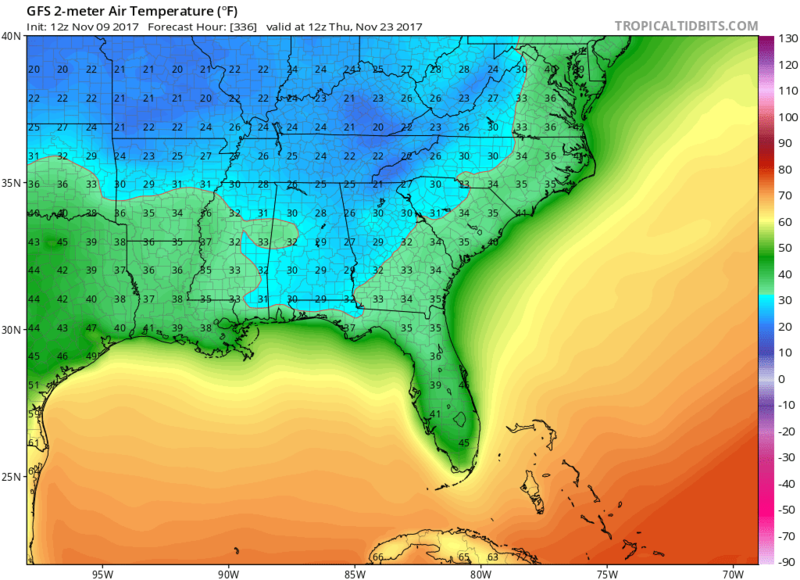 Here is the GFS, from 12 hours ago, (00z) for Thanksgiving morning. Below it, the latest run (12z), for the same morning. There's a 10 to 15 degree difference between the north shore and south shore this afternoon. Finally 50's across the board again this morning. It seems like it's been so long. Man today is one of my favorite kind of days!!!! Nice chill in the air, and so far I'm remaining overcast. mine too...and soccer starts tonight! Perfect way to start the season. Keep us posted on Thanksgiving! 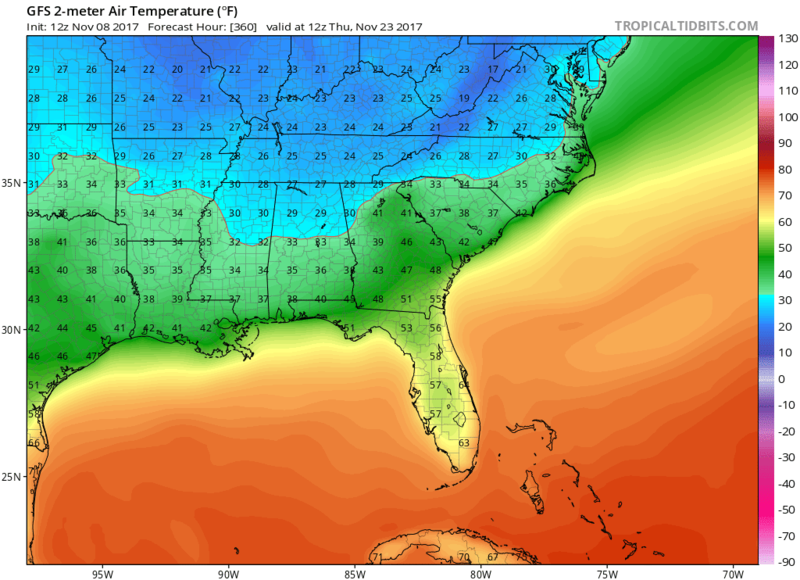 Today's 12z, GFS, for Thanksgiving morning.